The report also found that overall, “…employers’ efforts to create a wellness culture have been broadly successful.” Having a wellness culture drives employee engagement, and the report’s authors believe that it also represents a competitive advantage for organisations. When it comes to the structure of the wellness programmes themselves, the report found that the most common elements include stress-management techniques, flexible work schedules, healthier food options in break rooms and canteens, better ergonomics, financial counselling, and meditation or yoga classes. Interestingly, employees and employers differed on which elements companies should emphasise to alleviate stress: through focused stress management programmes (as most employers believe), or through more flexible working hours (as more employees believe). All very valuable things. But I think most organisations’ wellness programmes are missing something quite fundamental here. Organisations’ approach to wellness is targeted primarily at things that can help outside of the work we do. Very few programmes are focusing on making the experience of working itself more stress free, without sacrificing productivity. And this is where the work we do in GTD® comes in. 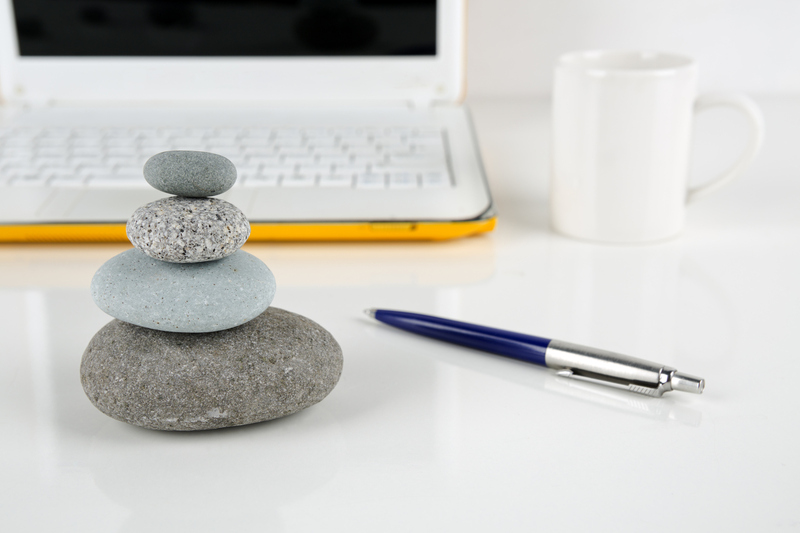 Being highly productive and being stress-free do not have to be mutually exclusive. Implementing GTD helps us get more of the right things done, in less time, with less stress, and better mental clarity. We focus on removing the grit from our working practices, enabling better perspective and a sense of relaxed control in our work. GTD is wellness within work. The proof? In a recent survey we carried out amongst our clients, 67% reported experiencing significantly lower stress levels after implementing the GTD methodology. At the same time, 82% reported being highly productive at work, as opposed to 29% before having implemented GTD. So if you are involved in your organisation’s wellness programme, ask yourself whether it is doing all it can to enable highly productive, stress-free working. The best wellness programmes do.